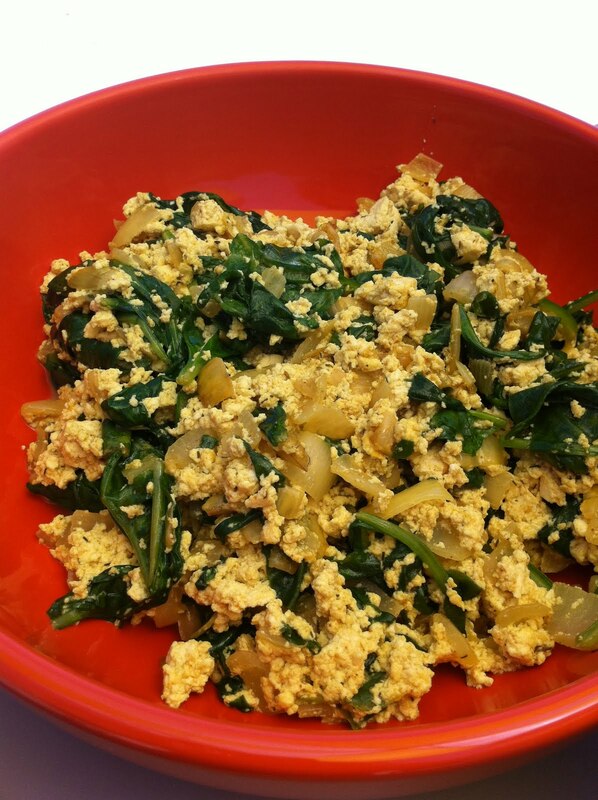 Tofu Scramble is the total vegan brunch standard. This is my version. So easy and tasty. Chop and saute the onion in olive oil with a little salt. When it is translucent, season with tumeric. Stir around so the tumeric cooks into the onions. Add the dill, paprika and a dash of garlic powder. Crumble tofu and stir to coat with the onions and spices. Then, add the spinach and let it wilt. Serve with toast or tempeh bacon!